The parent corporation of 'Big Six' energy supplierBritish Gas has announced profits of £356m for the first half of the year. Centrica confirmed its residential arm had made an increase of profit of 3.2%, but then used the announcement to warn UK energy customers their energy bills may go up again in the winter. Earlier in the year the firm revealed there had been a massive increase in energy consumption due to the pro-longed winter period. In fact, residential gas consumption jumped up by 18% over the first quarter of the year due to the chilly winter weather. 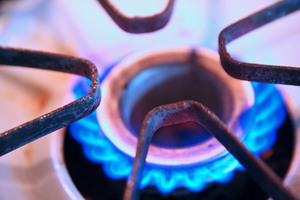 This came after British Gas announced a six per cent increase on their energy bills in December, leaving many of the firm's energy consumers frustrated: that sense of frustration is likely to re-surface again after the latest announcements from Centrica. However, the firm itself insisted its profits were curtailed by "significantly higher environmental and commodity costs"
Centrica chief executive, Sam Laidlaw, said: "With our customers using more gas to stay warm during the unusually cold winter, we're doing everything we can to help them keep their energy costs under control and make bills simpler and clearer." Centrica financial director, Nick Luff, added: "We will keep prices as low as we can for as long as we can. "If prices do have to go up, we will delay it for as long as possible." Shadow energy and climate change secretary, Caroline Flint MP, has slammed the likes of British Gas and other 'Big Six' firms as they continue to post high figures while many customers struggle to pay their bills. She said: "The time has come for a complete overhaul of our energy market. "Labour has set out plans to break the dominance of the energy giants, open up the energy market, protect vulnerable customers from being ripped off and create a tough new energy regulator with the power to force energy companies to pass on savings to consumers." British Gas is just one of a number of energy suppliers participating in the government's Green Deal initiative. Under the scheme the energy firm provides its energy consumers with loans or in some cases cashback opportunities on a range of energy-saving measures from upgrading a boiler to fitting new loft insulation.